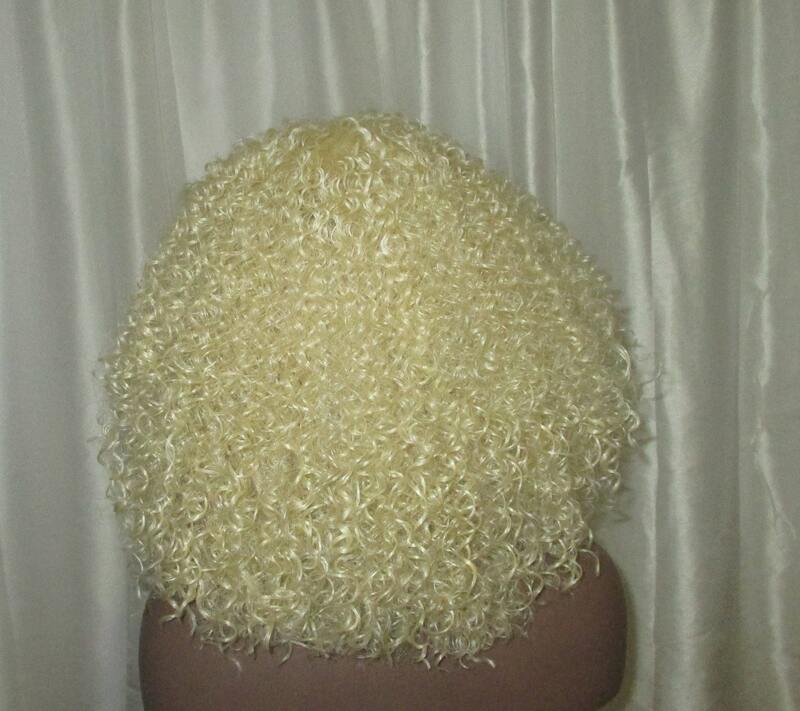 We can't forget about our blonde curlies. 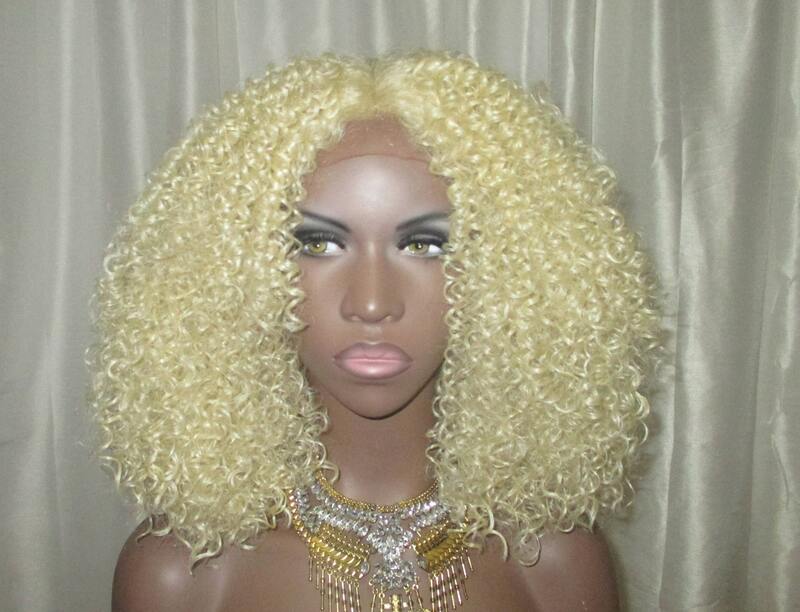 This is an amazing curly platinum blonde lace front unit. The unit offers a nice touch of volume and loose curls with wispy ends. This unit is THE unit to wear for all your summer beach and pool parties. We've got so many suggestions for bathing suits but will leave that part to you! 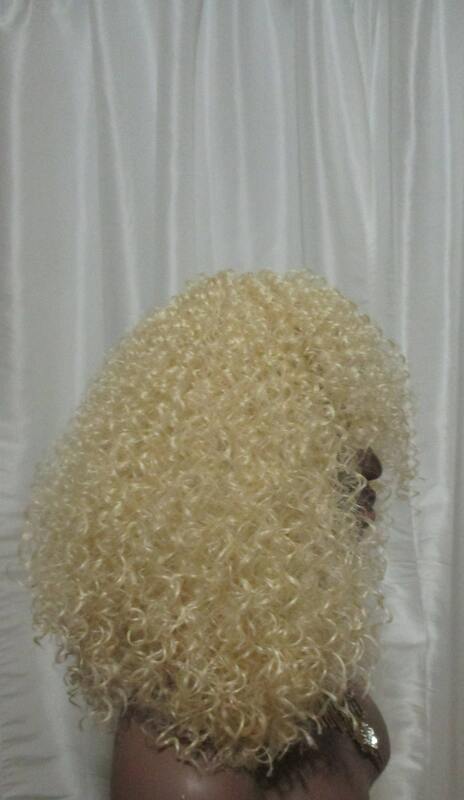 If you're blonde and desire curlier hair this is for you! 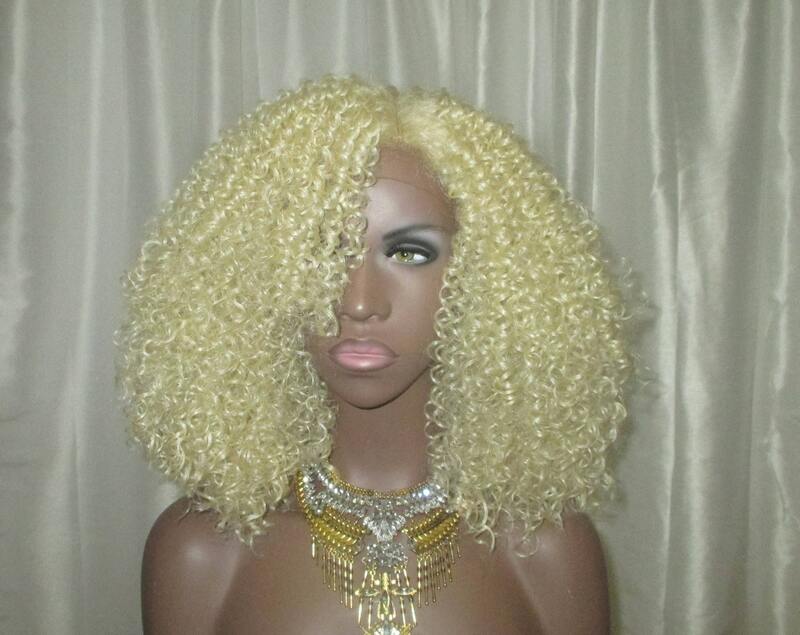 Maybe you aren't blonde but would like to see how the color looks on you...Either way it's a go with this one! Made with premium synthetic fibers. Full cap unit.